Whether you like or hate the Beretta Neos, you have to admit it's unique. This gun is Beretta's answer to other gun manufacturers' economy bland .22 plinkers. And whether you love or hate the way the gun looks, there's not much not to like about the way it shoots. And for innovation, Beretta scores a 10 out of 10 in using a completely new design for this gun. 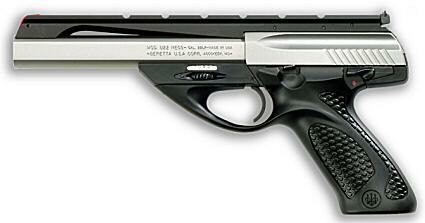 LOOKS: The Beretta Neos .22 semi auto pistol looks like something from a science fiction movie. It would not be out of place in an alien's hand, coming to take over the world. But when you load it with .22 LR plinking ammo, you find out it's of this world after all. The gun can be customized with numerous colors of grip panels, to fit your preference or personality. The profile with the full length sight rail makes people immediately take notice that you've got something different in your hand. 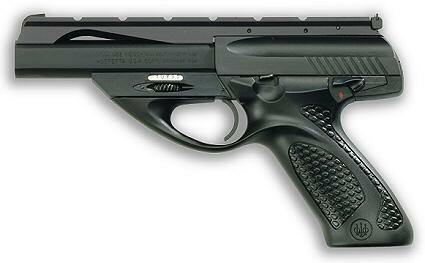 SIZE OPTIONS: The Beretta Neos comes with either a 4.5", 6", or 7.5" barrel. For a .22 plinker, the 6" model is pretty heavy with the full size frame rail. For men, the 6 or 7.5" model will be ok. For women who shoot only occasionally, or kids, the 4.5" model will probably be best. 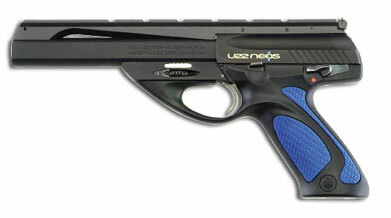 Beretta Neos with 4.5" barrel. SHOOTING THE NEOS: Is great fun. The gun is a tack driver that will shoot as straight as a competition pistol in the right hands. If the weight of the 6" model is not too much, the extra length of the barrel adds to the already straight-on accuracy. The full length sight rail allows you to mount about any kind of pistol optic you want making it a good choice for hunting small game also. Whatever type shooting you do, this gun will accommodate it. DEPENDABILITY: The only kind of .22 ammo I have shot through my Neos is from cheap mega round boxes of Remington or Federal bullets. Dependability with these rounds for a .22 semi auto has been average with a failure to fire from time to time. But with this type rim fire ammo, everything I shoot it from fails to fire it frequently. High end or competition ammo should be dependable. VALUE: For this kind of versatility and accuracy, the real world price of the Beretta Neos at around $240 is unsurpassed in value for a .22 pistol. BOTTOM LINE: For every kind of .22 rimfire pistol shooting need the Beretta Neos will accommodate it, and at a price that won't break the bank. Update: Currently, in July 2014, the Neos is still made by Beretta and still has enough of a fan base for the company to keep turning out the guns. Still made in the same sizes without quite the choice of colors and styles as originally, it appears to have found a long term niche in Beretta's product line. Update 2019: The Beretta Neos keeps going and going. Still being produced by Beretta, with a few more options added by the company, the gun remains an available and economical rimfire handgun suitable for everything from plinking to small game hunting. Evade your attacker while defending your life with your firearm. The organization remains the #1 source of Self Defense Legal Protection in the U.S. today. ShootingTargets7.com is used and recommended by the Christian Gun Owner. From a rocky start to a nice shooter, the Taurus M605 .357 magnum was both a challenge, and a reward. Blackhawk TECGRIP IWB Holster. Never thought I'd have so much to say about a nylon pouch. The Best Steel Targets for handgun shooting and training. All contents of the Christian Gun Owner web site, unless otherwise noted, are Copyright © by Mark Rogers/christiangunowner.com. 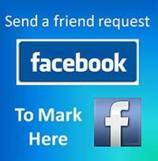 No part of this web site may be reproduced, copied or distributed by any means or for any reason without the express written permission of Mark Rogers.